Looking for a more luminous smile that exudes success and confidence? 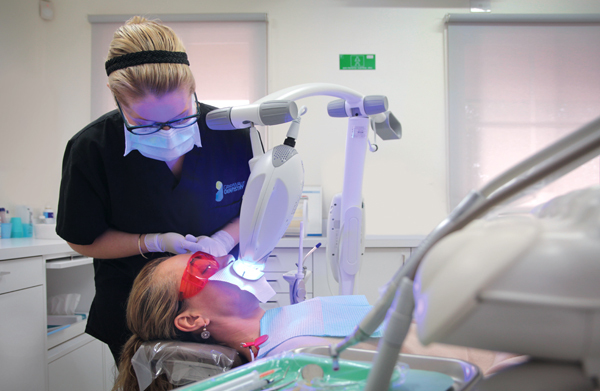 Visit Greenvale Dentistry today—you too can enjoy a whiter smile with Zoom Teeth Whitening. Before we assess eligibility we chat about dental stains. The effectiveness of a cosmetic treatment often depends on factors that range from lifestyle to diet to health i.e. factors that are within your control. Beverages such as soda, tea and wine can eventually penetrate the enamel and alter the colour of your dentine. Pharmaceutical products, like cough medicine and some mouth washes, can also stain grooves and ridges in your mouth over time if not cleaned. Smokers may also notice yellowed stains from prolonged exposure to tobacco. Be vigilant and prevent tooth decay and gum disease by keeping your mouth clean. If you would like to commit to Zoom Teeth Whitening we recommend that you consider your own routines and think about ways that you can lessen the impact of poor oral hygiene. At Greenvale Dentistry we bleach teeth surfaces with a special gel. We then shine bright lamps at the treatment to activate the chemical reaction that should lighten enamel and dentine by multiple shades to give you vibrant pearly whites. For more noticeable results we recommend that you schedule a scale and clean first. 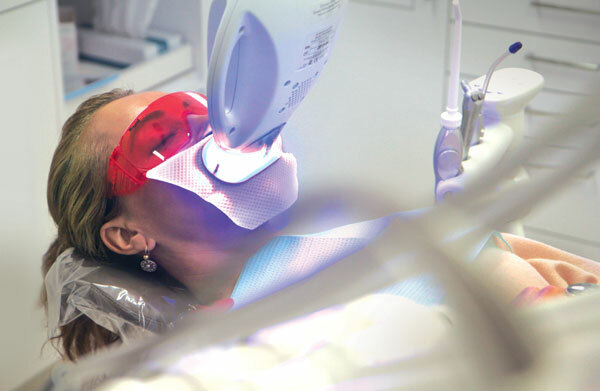 Our dental hygienists can remove plaque build-up and ensure that your mouth is in the best possible condition to make the most of your Zoom experience. Our take-home tooth whitening product uses a mild bleaching gel in a custom-fitted tray that is worn over your teeth while you sleep. Improper use of these products can irritate gums and cause sensitivity so please follow the instructions carefully and do not hesitate to ask us any questions. Contact us today to learn more about the different options for improving your smile with whitening treatments.